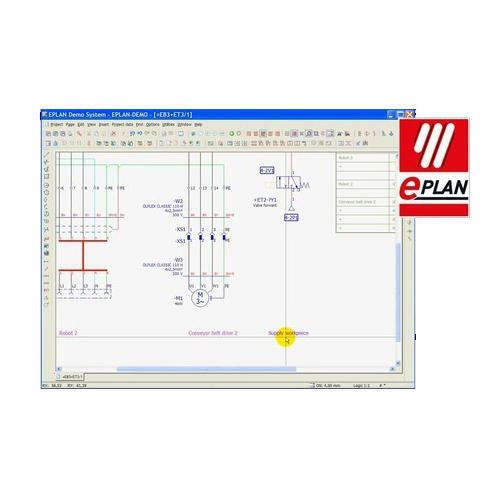 Acknowledged as a pioneer organization of the business industry, we are affianced in providing EPlan P8 Electrical Drawings Services. These are rendered by experts according to the client’s demands. In addition to this, offered drawing services are appreciated due to their reasonable prices, high-quality drawing and perfect execution. Manufacturing as per current market demand, we “GK Power Expertise Private Limited” are extremely involved in manufacturing and exporting the superior range of Control Panel, On Load Tap Changer, Medium Voltage Switchgear, Power Transformer and many more. To manufacture these products we use modern technology, best grade raw material, and supervision of knowledgeable experts. Since 2007, our head office is located at Nandambakkam, Chennai, Tamil Nadu achieved a high level of sophistication and has emerged as one of the leaders in our special category. The Quality systems and execution procedures of the division match global standards.